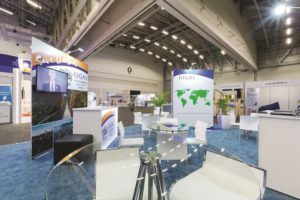 The 41st Annual International Urogynecological Association Congress took place at the Cape Town International Convention Centre between the 2nd and 6th of August 2016. The event attracted 1000 participants from 68 countries. The local hosts of the event were Peter de Jong and Stephen Jeffery from UCT. The programme committee along with the local organising committee structured a unique blend of stimulating science and varied social activities. 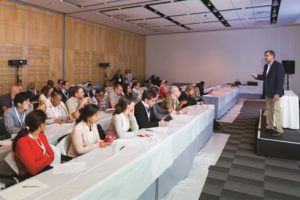 For the first time, the event featured five types of presentations; oral podium presentations, oral poster presentations, Video Presentations, E-Poster Presentations and a video salon. A technical trade exhibition gave delegates the opportunity to meet with the trade and sample the latest developments in all fields of Gynecology. Pre-Congress practical Workshops were well supported and hands on. An IUGA2016 Event App was designed and available to all registered participants. A FIUGA Fun Run / Walk encouraged delegates to enjoy some fresh air early on Thursday morning. The congress gala dinner took the form of a typical township tavern, pantsula dancers, local beers and exquisite seafood was enjoyed by all.